Well, I was a little off in my prediction for harvest, by about a week. 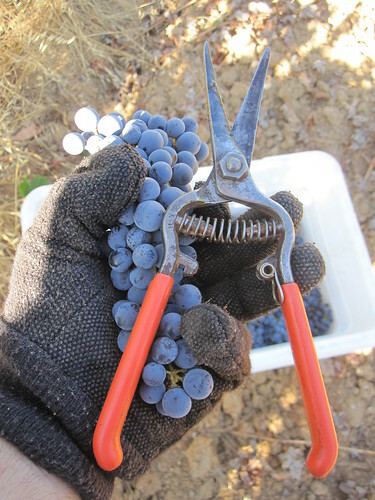 We harvested 3 parts of 3 vineyards this week; all Cabernet Sauvignon. Flavors are ripe, sugars are there, and the weather has been consistent. Great conditions all around. We're not done yet and have a little more fruit to pick for this season. Wish us luck.